Rome is one of our very favorite cities in the world, and we adore it during all four seasons of the year–but there’s something special about Rome in winter. Crisp winter sunlight, the holiday season, and–most importantly–a severe lack of crowds as compared to the rest of the year–all combine to create an incredible experience in the city. Considering a trip to Rome in winter? Don’t hesitate–you should definitely go. There’s no better time to avoid the crowds in Rome. The first time we stepped foot in Rome in December, we were absolutely shocked: the difference in crowds from when we had last seen in the city in mid-November, just a month earlier, was palpable. We were delighted and confused–the Piazza Navona was practically empty in the middle of the afternoon? We could walk right into St. Peter’s Basilica? The Colosseum had actually somewhat manageable lines? It as amazing–and when we later visited Rome in February, we found more of the same. No crowds and a beautiful city–we were enamored, and completely recommend the experience. … But nothing really closes. Unlike smaller cities or coastal towns, hotels and tourism companies and Rome don’t tend to close for the winter–so other than potentially snagging an off-season deal and enjoying a smaller group experience, you won’t find many things different about booking tours in Rome in winter than during the summer. Rome’s best highlights are better enjoyed without summer heat. Honestly? The last two months we’d choose to spend in Rome if given the choice are July and August, which are also two of the most popular months to visit the city! Highlights like the Colosseum, Palatine Hill, and the Spanish Steps are far, far more enjoyable without the sticky, sweltering heat of summer, and are an absolute joy to experience during winter in Rome. Sipping a café at an Italian bar is even more fun when it’s cold outside. 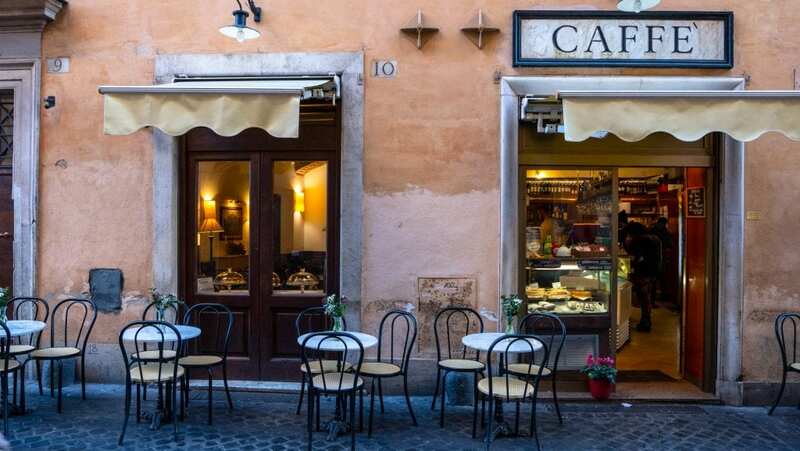 Dropping into an Italian bar and downing a café (aka espresso) at the counter is an iconic part of any visit to Rome–but stepping inside a warm, cozy bar and downing a hot drink is extra delightful when it’s cold outside. 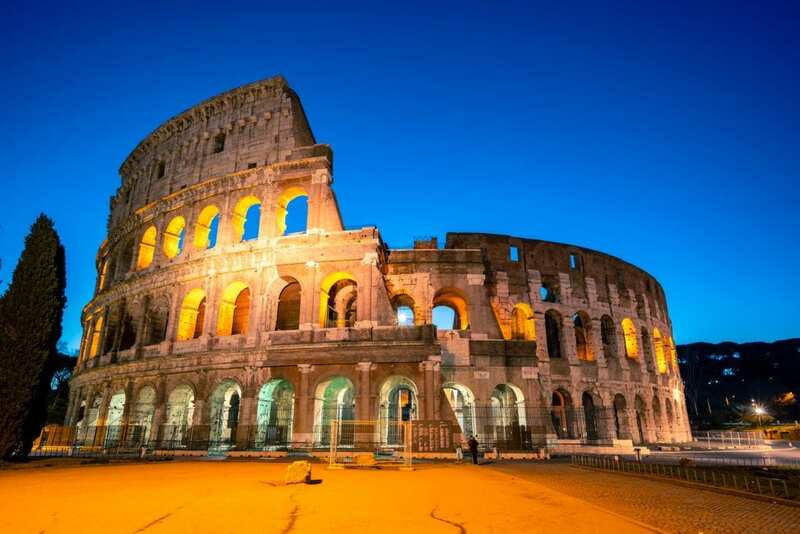 You can get fantastic hotel deals during the winter in Rome. 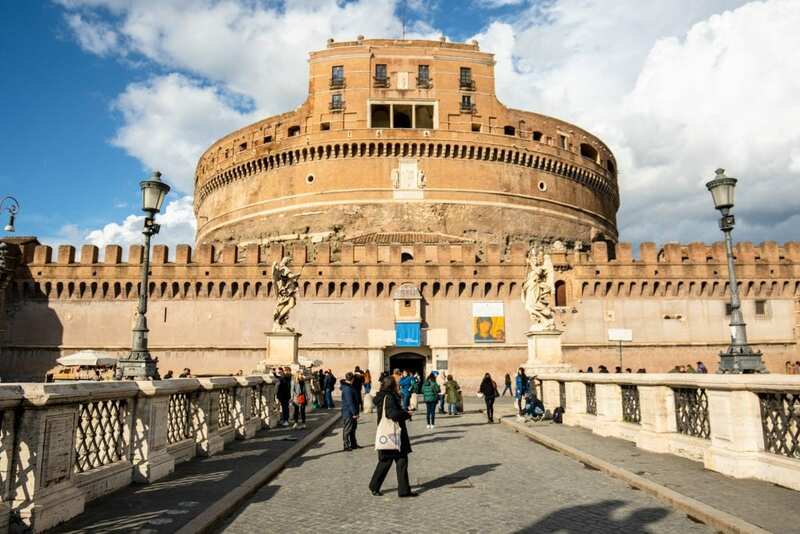 It’s amazing how much prices for hotels drop in the winter–during our last trip to Rome in winter, we snagged a great deal at The Wesley, which literally overlooks the Castel Sant’Angelo and couldn’t be better located in Rome, for under $40 USD/night! If you’ve ever dreamed of staying right in the center of the city or splurging on a luxury property, winter in Rome is the absolute perfect time to do so. Want to check out The Wesley? Check rates & book your stay today! Crisp winter sunlight is a fantastic experience in Rome. You’ll likely experience more gray skies and yes, occasionally downright dreary weather in Rome in the winter than any other time of year–but when the sunlight hits Rome’s ruins in winter, it’s a beautiful sight. It’s the perfect time to take a cooking class in Rome. Stay warm and cozy with a Roman cooking class–winter is the perfect time to expand your skills in the kitchen and enjoy the benefits of a home-cooked meal in Rome. This cooking class is well-reviewed and the perfect addition to your winter trip to Rome! 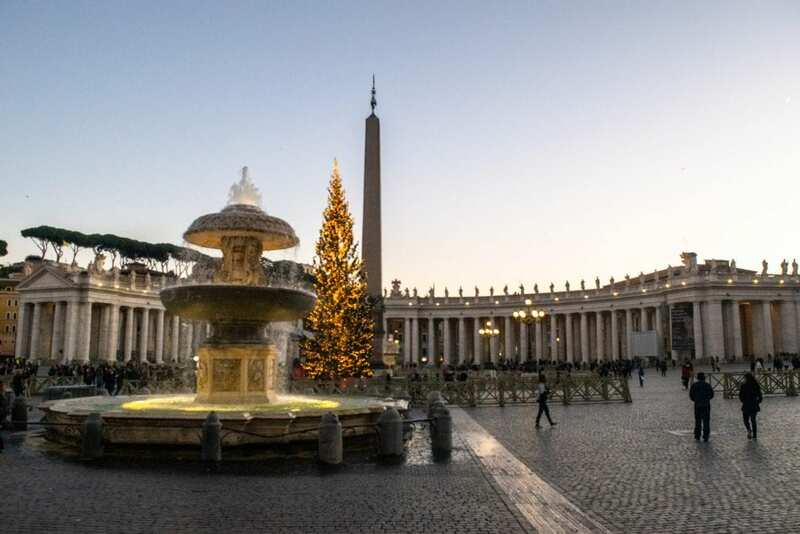 The Christmas decor in front of St. Peter’s Basilica is worth checking out. A giant Christmas tree, glistening winter sunlight, and… a gigantic nativity scene carved out of sand? The Christmas decor in front of St. Peter’s Basilica may be a bit unexpected in some ways (at least last year–other years sometimes boast more traditional scenes), but it’s definitely worth checking out! … And so is the decor in the rest of the city. Rome comes alive with twinkling lights as Christmas nears–head to the Spanish Steps and then head down Via Condotti for a great peek. 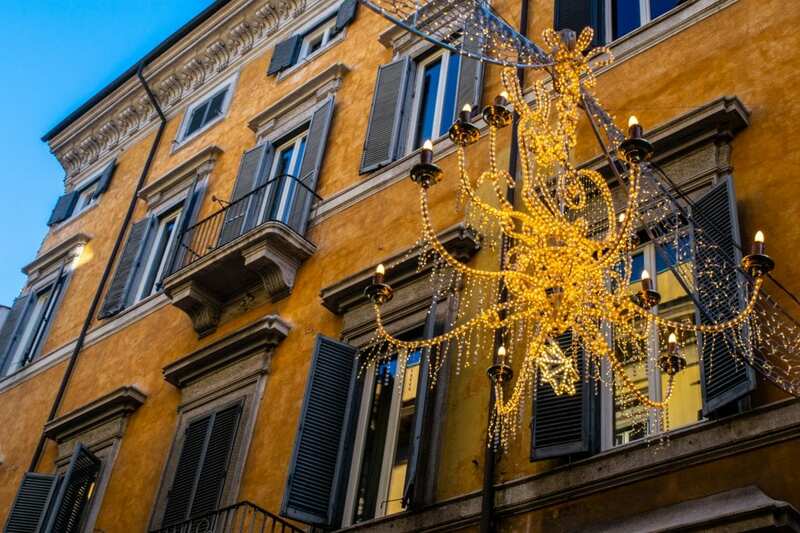 Other places to check out for beautiful Christmas decor in Rome (other than St. Peter’s Square listed above) are Via del Corso, Piazza Venezia, Piazza Navona, and the many winding and beautiful small streets of Centro Storico and Trastevere. Take advantage of lighter traffic and try your hand at driving a Fiat 500 through Rome. Always wanted to try your hand at driving a Fiat 500 but too nervous to try when Rome’s traffic is so heavy during the summer? Rome is never the easiest place to drive, but if you want to get behind the wheel, doing so when visiting Rome in winter is definitely a more inviting prospect than during the hectic summer. Book your tour of Rome in a Fiat 500 now! Winter is the perfect time to wander the streets of Rome. 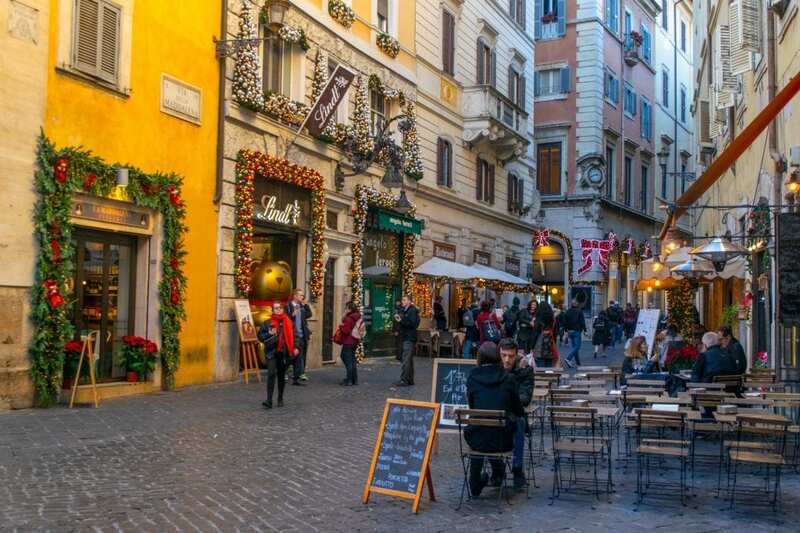 Be sure to bundle up and hit the streets when visiting Rome in winter: Rome is absolutely beautiful at any time of year, but meandering through the streets checking out everything from storefronts to Christmas lights is extra special during winter in Rome. 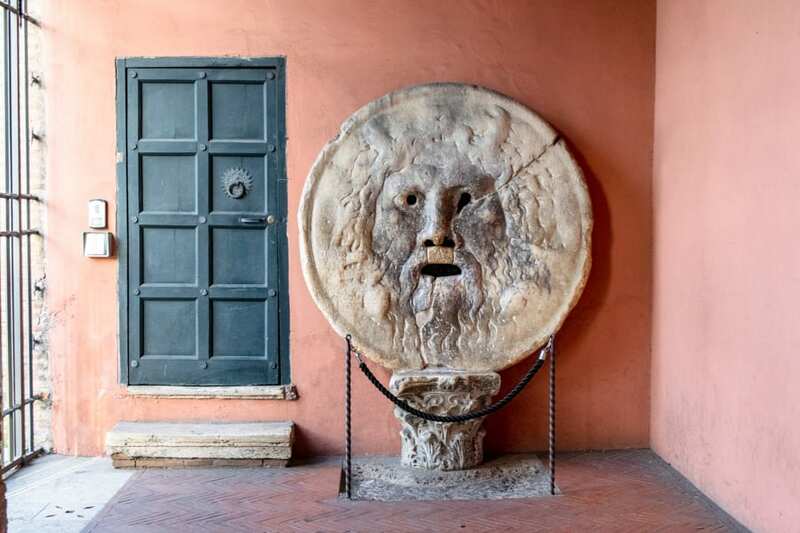 This is also the perfect time to aimlessly explore two of Rome’s most stunning and popular neighborhoods, Trastevere and Centro Storico, without feeling jostled by the crowds. An indoor wine tasting tour will keep you warm during winter in Rome. No trip to Rome would be complete without indulging in Italian wine–improve your vino knowledge while giving your taste buds a treat with a cozy indoor wine tasting during your trip to Rome in the winter! Sign up for your delicious wine tasting in Rome today! Celebrating a holiday in Rome is an incredible experience. 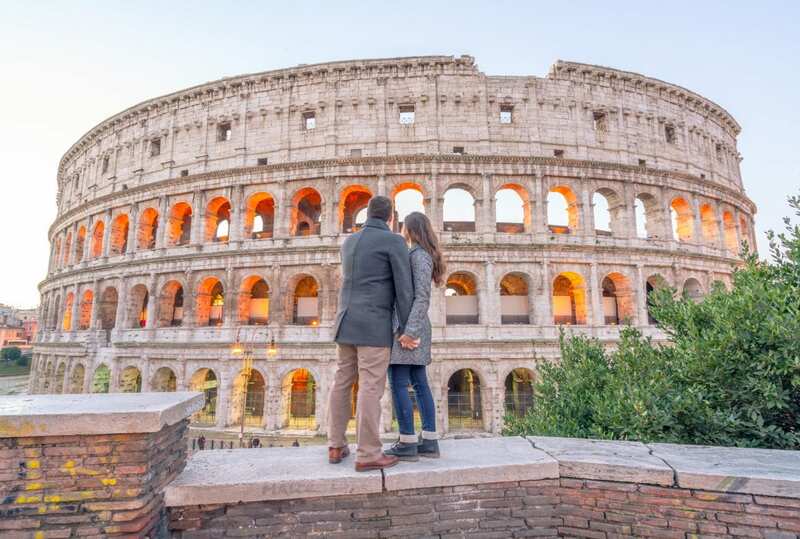 Christmas is the obvious choice, of course, but ringing in the New Year in Rome or celebrating a romantic Valentine’s Day with your beloved are also fabulous options! If you want to take a day trip to Pompeii from Rome, this is the time. 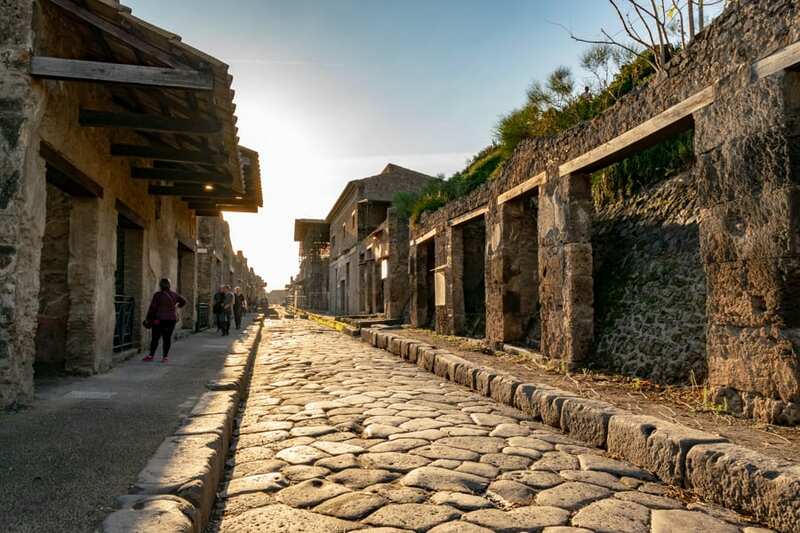 Pulling off a day trip to Pompeii from Rome is a little tricky–we honestly recommend taking a tour to do so–but if you want to go, winter is a perfect time! Avoid both the intense heat and the heavy crowds of visiting Pompeii in summer with a winter trip, which is a truly pleasant experience. Plus, if you know Italy well and want to try to take an independent day trip to Pompeii from Rome, the lack of traffic and crowds will make it easier to pull off during winter than any other time of year. This wildly popular day trip is a great way to visit Pompeii from Rome! You can see an opera. A cold winter night is a perfect time to experience a night out at the gorgeous Teatro dell’Opera in Rome! 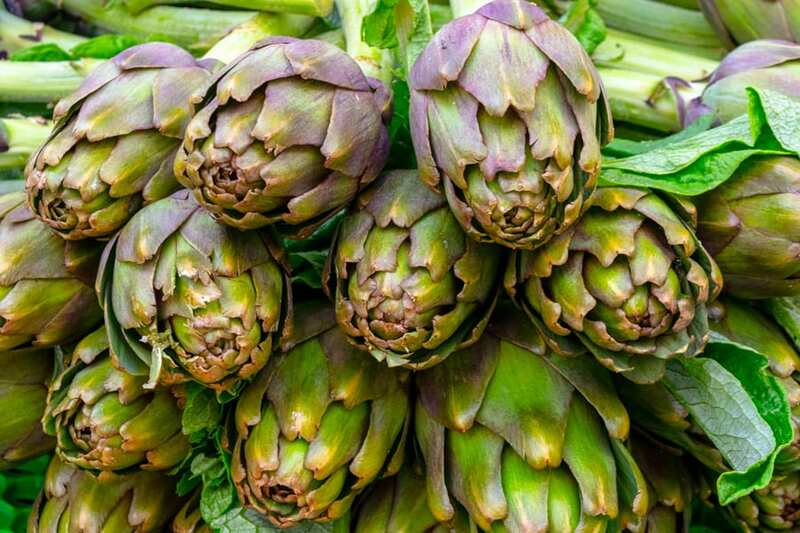 Artichokes–cooked both Roman-style (carciofi alla romana) and Jewish-style (carciofi alla giudea) are both delicious, and are some of the best-known dishes of Rome–and winter in Rome is the perfect time to sample these delicacies. Stepping into Rome’s catacombs during winter is incredibly cool. Rome’s catacombs are fascinating at any time of year–but add in fewer crowds and crisp winter air, and the atmosphere is even more impressive. Book your epic tour of Rome’s catacombs today! Shop ‘til you drop at Rome’s winter sales. Want to indulge in some post-Christmas-shopping in Rome? In January and February, Rome’s winter sales hit the stores, and it’s the perfect time to shop. Winter is the perfect time to take a day trip to some of Italy’s thermal baths. Want to spend an afternoon forgetting your worries in a steaming spa? Take a day trip from Rome to visit one of the countryside’s nearby thermal baths! There’s no better time to indulge in hearty pasta (aka Roman comfort food). 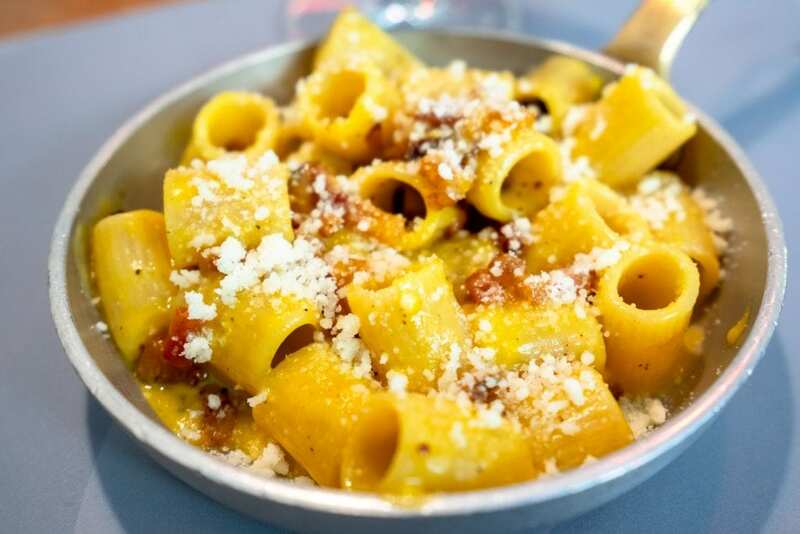 You should never come to Rome without indulging in lots and lots of pasta–but there’s something extra satisfying about tucking into a hearty serving of carbonara in Rome. Minestra (pasta and vegetable soup) and pasta e ceci (pasta with chickpeas) are both tasty dishes to try that you can usually only find in Rome in winter. Don’t come to Rome for Christmas markets. 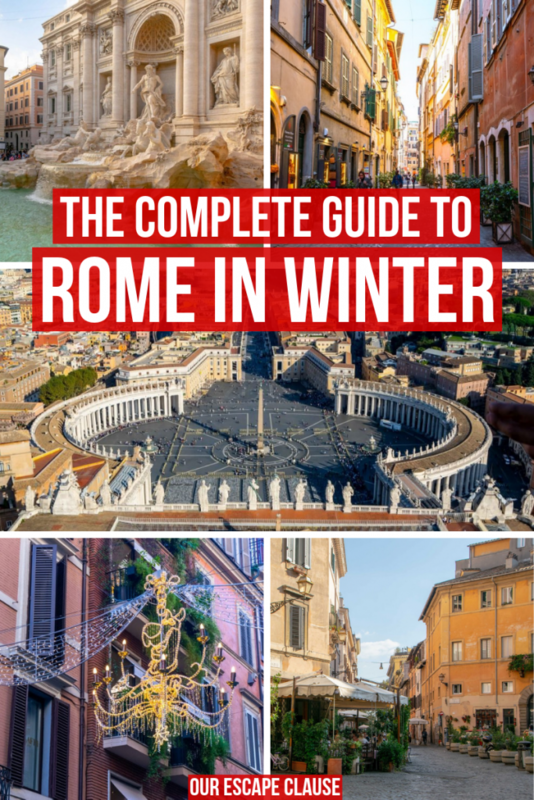 There are so, so many reasons to visit Rome in winter, and Rome is one of our favorite cities in the world year-round. But that being said… don’t come here for the Christmas markets. While they do exist (you can head over to Piazza Navona for a taste), they’re not nearly on the same scale as the markets you’ll find in Germany or other surrounding Central European countries, or even on the level of the Christmas markets in Bolzano, which are widely considered to be the best in Italy. Stop by the markets if you’re in Rome, sure–but if your objective is visiting Christmas markets, make sure to add some other destinations to your trip. Rome’s winters may be mild, but if you’re busy touring the city, you’re still going to spend lots of time walking around outside–and that means you’ll want a warm hat , scarf , and gloves –plus a great coat and cozy boots that are comfortable to walk in. I normally wear a coat like this in Rome in winter, and Jeremy usually wears something similar to this . Gray skies and rain are more common during winter in Rome than any other time of year, so come prepared for a few dreary days! That being said, Rome isn’t Paris–you’ll likely see the sun some during your trip–but it’s better to come prepared. If you have your heart set on snagging photos of, say, the Colosseum in the sunshine, we recommend heading that way as soon as you see a good weather day coming up during your trip. … And bring an umbrella out with you. Don’t head out exploring Rome during winter without an umbrella–you never know when a rainstorm might hit, and they’re definitely more common in the winter than the summer. Most businesses will run normally during winter in Rome, but double check. 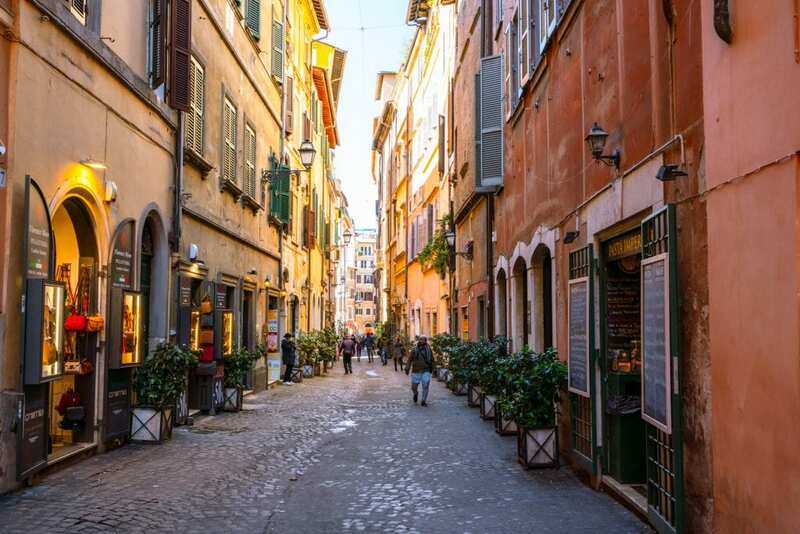 While winter in Rome is definitely the offseason for tourism, saying that tourism ever really shuts down in Rome is a wild overstatement–there are always people visiting, and typically speaking, businesses are always going to be around to serve them. 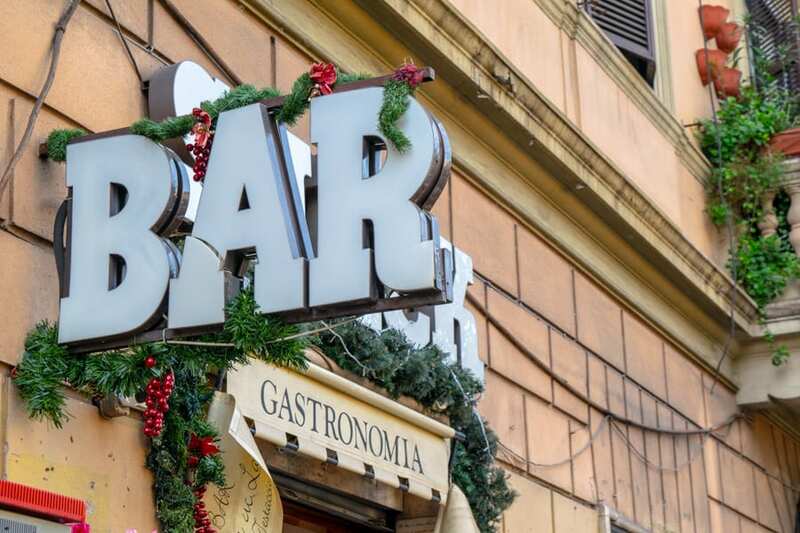 If you have your heart set on a specific experience, though, be sure to check with the company in advance–especially if you’re planning your winter Rome trip near Christmas, when some small business owners might be more focused on family than tourists. The Christmas decor doesn’t stay up as long as in other cities. 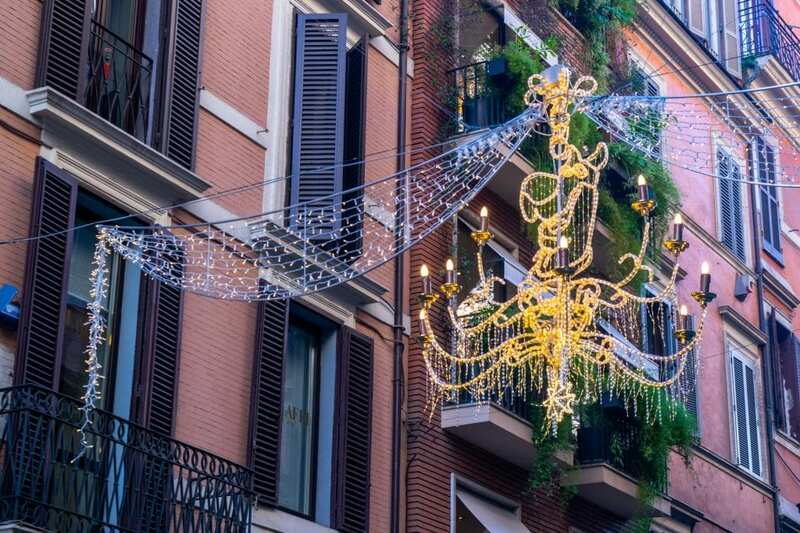 Rome’s Christmas decor is beautiful, but it doesn’t tend to stay up as long as in other cities: if you want to see Rome’s Christmas lights and decor at their most gorgeous, it’s best to plan a trip between December 8 (the holiday of Immaculate Conception) and January 6 (the day of the Epiphany). Rome’s winter highs are generally in the mid-50s Fahrenheit or around 12 degrees Celsius–so you certainly won’t freeze when visiting Rome in winter, though you’ll definitely want to plan on wearing a warm coat, hat, scarf, and boots out each day. It very rarely snows in Rome–maybe once a year, if that–so definitely don’t plan a winter trip to Rome expecting to the see the Colosseum draped in a blanket of white. That being said, if you’re lucky enough to wake up in Rome in winter and see snow outside your window, head outside with your camera and start snapping photos immediately! The days will be shorter than during the summer. While Rome is far enough south that you won’t need to strategize your use of daylight hours nearly as much as in northern European cities like Oslo, you’re still only looking at around 9 to 10 hours of daylight each day, and a sunset that takes place before 5:00pm–so if you’re hoping to get photos during the day in Rome, plan accordingly! For the most part, deciding where to stay during winter in Rome isn’t much different than deciding where to stay in Rome during the rest of the year–except that everything will be much cheaper! We do recommend staying as central as possible to cut down on the amount of time you’ll need to walk through the cold when you’re heading home at night, and since hotel deals are so easy to come by, that’s a much easier ask than in other seasons. La Cornice Guesthouse — We loved this little guesthouse! It was extremely clean and comfortable, and VERY affordable for Rome. La Cornice is set slightly outside the main tourist areas, but an easy 5-minute walk to the metro and a 20-minute ride got us to the Colosseum and other major sights. Our favorite part of La Cornice? Eating a nearby Joseph Ristorante for lunch, which we ate at several times on recommendation from the clerk at La Cornice. Just a 5 minute walk away, their lunch special offered a choice of about 10 main courses plus bread, wine, and one of several desserts for 8 Euros/person–it’s hard to beat that! Check rates & book your stay at La Cornice Guesthouse! 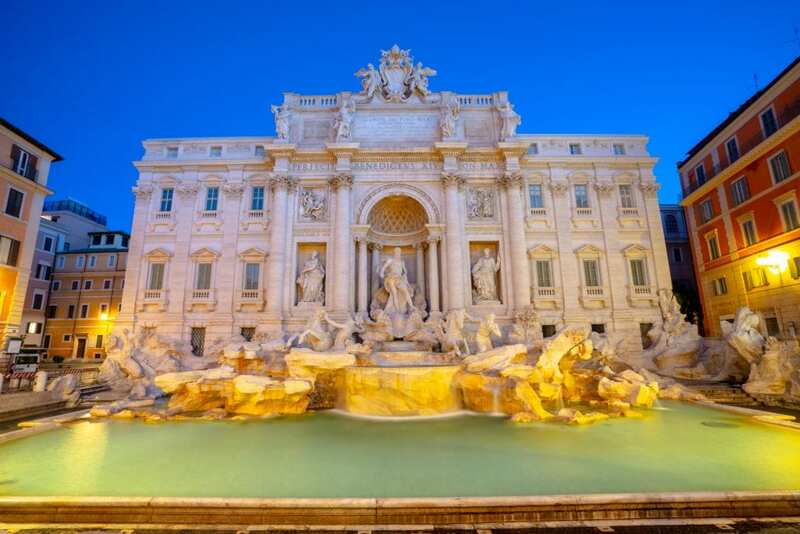 Hotel Condotti — Located just around the corner from the Spanish Steps (and consequently the Piazza di Spagna metro station), you couldn’t ask for a better location in Rome! Well-reviewed and boasting exceptionally clean rooms, Hotel Condotti is the perfect choice for a traveler with a midrange budget (or luxury traveler–this hotel also holds some impressive looking suites!) who would like to be within walking distance to the best that Centro Storico has to offer. Check rates & book your stay at Hotel Condotti! Pantheon Inn — If you’re looking for a building with classic Italian charm in the heart of Rome, this is it. Located right behind the Pantheon and within reach, the Pantheon Inn offers a quiet, peaceful escape in the middle of bustling Rome. 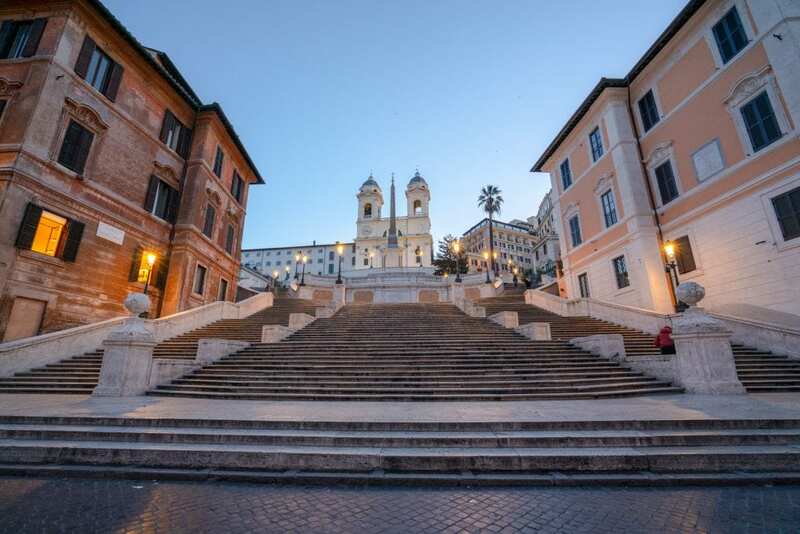 You will need to walk a bit to the metro stop–but since the walk will take you through the heart of the beautiful Centro Storico, we doubt you’ll mind. Check rates & book your stay at the Pantheon Inn!